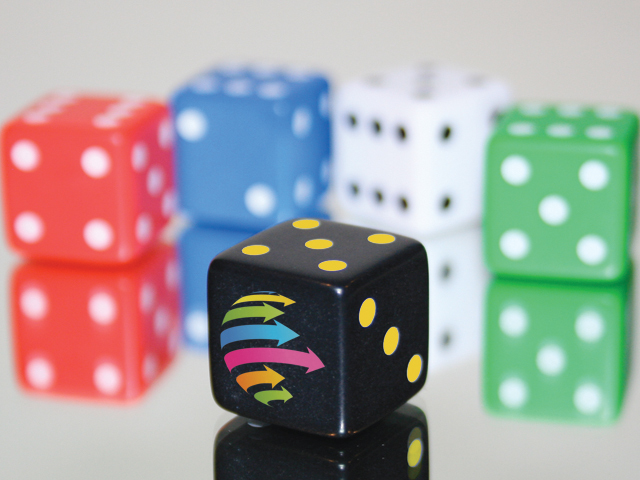 Our 5/8" Custom Imprinted Dice feature your logo on one to six sides of the Dice. Made of durable urea plastic, these Custom Dice are available in seven different die colors: Black, Blue, Brown, Green, Red, White, and Yellow. You can imprint your Custom Dice with any standard imprint color. 5/8" (16mm) Customized Dice are great for board games, promotions, and much more!